Je lis La Princesse de Clèves, originally uploaded by Breff. After French President Sarkozy criticised the French classic La Princesse de Clèves, which is a standard of school and civil service exams, the book has become a surprise hit. 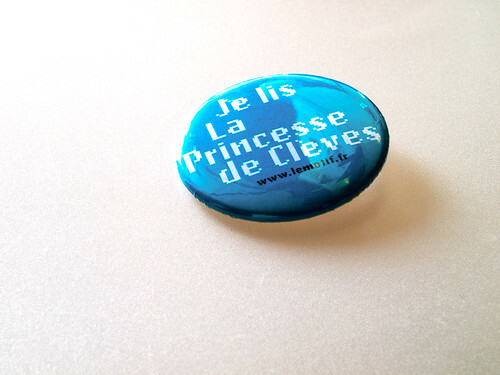 Sales have soared and protesting workers are wearing badges like the one pictured 'I am reading La Princesse de Clèves'. I look forward to 'I am reading the Mayor of Casterbridge' badges on May Day.